In the world of designers, color is a main issue. 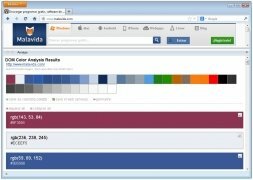 When referring to websites it's important to get the choice of colours right in order to guarantee the best user experience possible, and ColorZilla can be of great help when it comes to analyzing a site's colour palette. 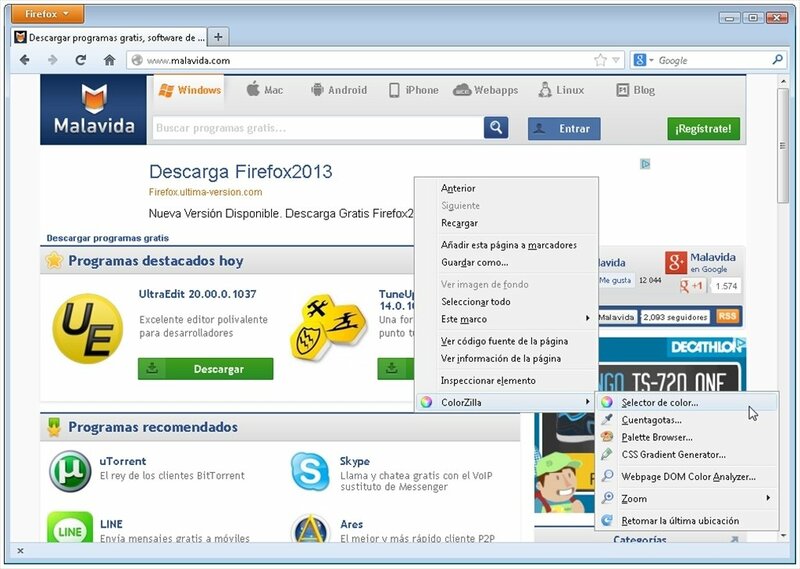 For newbies or advanced users. ColorZilla is an add-on for Firefox capable of creating color patterns after analyzing a certain website. Thus, you can find the best combinations possible. 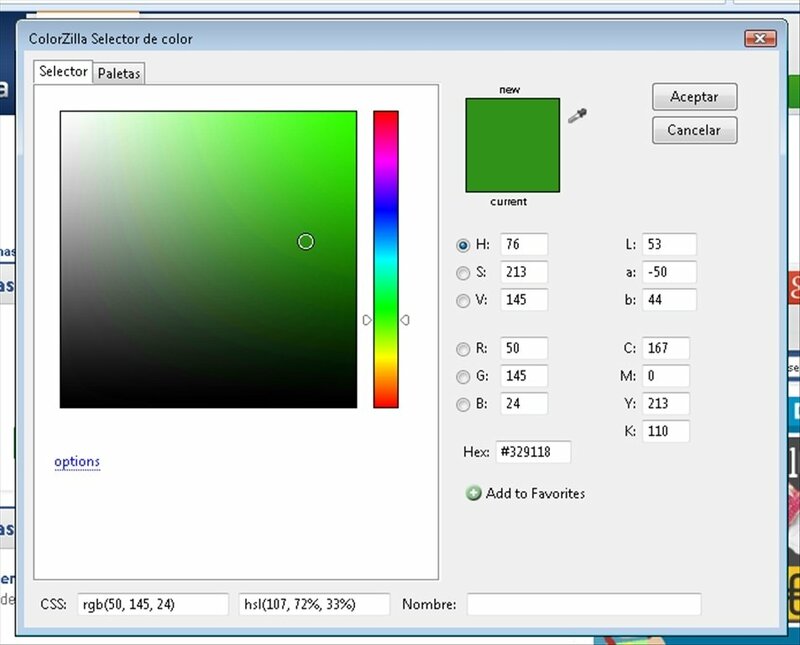 ColorZilla is ideal for web developers and graphic designers that are searching for options for their page's aesthetics. 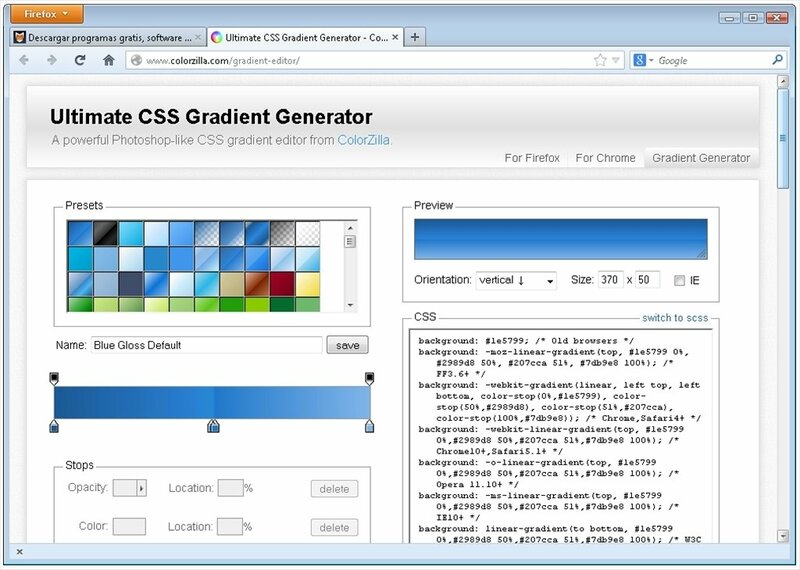 Analyze web designs and create color patterns. 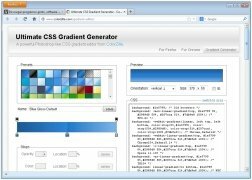 Includes a DOM inspector, an eyedropper, a color palette and a CSS gradient generator. 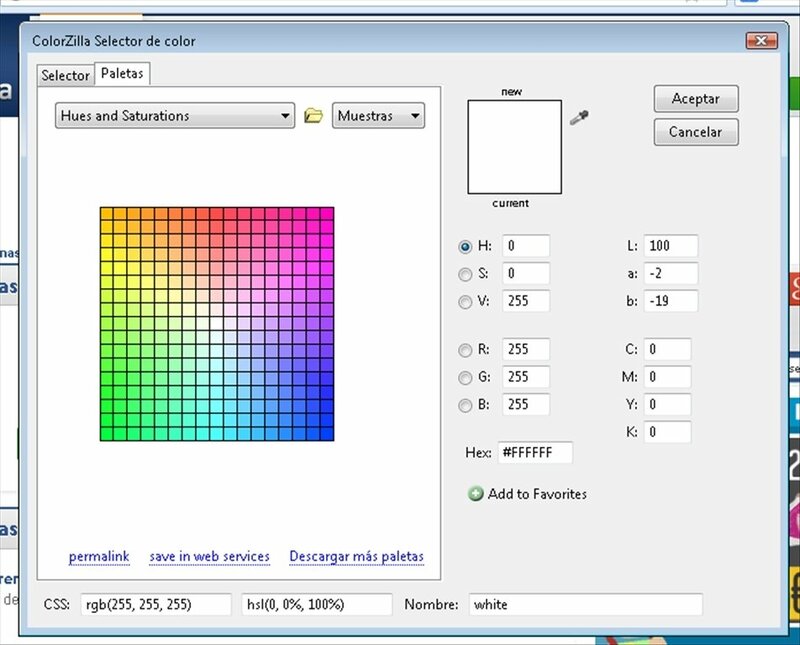 View and copy the code of each color to use them in your projects. 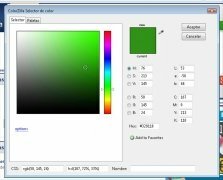 Being able to create customized color palettes, analyzing any website, provides us with a wide range of new design possibilities. Simply copy and paste the shades you like most to add them to your collection. 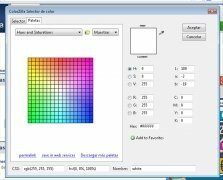 Install ColorZilla right now on your browser and get hold of a set of color management tools that are essential in the design field.